Hey bville, So your girl LC got a chance to have a sit down session with one of naijas hottest media personalities. Some of you might remember him from the days of Cool f.m’s yello countdown or as the host of Big Brother Nigeria. Olisa Adibua is a multitalented radio/television anchor as well as a director of hip record label Storm Records(which is home to artists like Neato C, Sasha and recently signed Sauce Kid). With the launch of the hip radio station The beat 99.9 fm which aims to rival competitors Cool fm targeting the younger demographic audience, your girl decided to have a little sit down session with the boss himself to ask a few questions. This was how it went down. OA: No worries I don’t usually do interviews ,but its all good. LC: OK!!! so lets get to know you a bit more. OA: I’m JUST an average guy trying to get by. LC: No..now..more like a brief history to the Olisa movement.? LC: Could you tell us about what you did to get to where you are today? Like the stages you went through? LC: Fair enough,What made you get into radio? OA: Well I felt there was a challenge I had not faced, Most people start off from radio to television but I did mine the other way round, I started off from theatre then I went to television then radio as I wanted to become a fully rounded entertainer. LC: So how far back was this? OA : I started right after I came back to Nigeria, right about 1989 there abouts. LC: Where were you living prior? OA: I was living in England. LC: Could you tell us about the beat fm? OA: The beat fm is a brand new station ,we started on the 1st of may 09. Targeting youths … the hip people from age 14 up wards. You can be young at heart and still love the beat. And im saying this not cause I work here but I mean we have a combination of everything, you get a bit of hip hop, garage a bit of grim, bashment, reggae, soul a bit of rock and of cause Nigerian music. In fact quote me on this. “This is the first time a station has put Nigerian music on high priority” and on heavy rotation, im talking about a 24 hour cycle. LC: So are you a stakeholder in the beat fm? LC: What are the major challenges, the station faces entering the market? OA: Challenges have being all sorts, mainly technical because most of the technology and equipments we are using has never being used in Nigeria before, Like our software. I mean with hi tech material comes hi tech problems. Biggest challenge has being the power sauce; I mean we are operating with the generator for 24 hours, So you can imagine what we spend in terms of diesel and also maintenance of the generator. So yeah its not easy. LC: You guys have some smart alternative revenue drivers in the form of the beat mobile. Can you tell us a bit more about it? OA: We are everywhere, we are on face book, we are on twitter we also have a website with online streaming. I mean what we are starting is a movement. Its not just a radio station. We are gonna have so many events so many gigs . It’s a shame we are only in Lagos rite now but we are gonna take it everywhere. We haven’t even launched properly yet. LC: Cool so If you could re-count your most liberating moments on air so far, what would they be? OA: Wow, there have being so many great moments. I can’t really think it’s hard. I think everyday you have moments where its that interaction between you and the listeners. That instant karma you get, the joy when someone calls in or sends a txt,when a listener comes in to collect their prize, when you play a particular song and people are feeling it. That’s the joy. LC: I totally get you, the number of times I have had OMG moments on the drive to work courtsey of your station. Ok so correct me if I’m wrong but we hear you are one of the founders of Storm records, Could you tell us more about your dealings at Storm? OA: Storm is my other life,we founded Storm 1989 or there about .We actually registered it as a company in 1991 it was registered as Storm productions so Storm records is part of it, the holding company is Storm 360 we do all sorts we do events, we do television production, album realises. So yes I am a founding director and current director of Storm records, but its not just Storm records. Storm records is what people see out there because of the artists we produce. People like Neoto C ,Sasha. I mean this year coming up we are coming with so much fire we are gonna need to call the fire brigade to cool our office down. We are cooking so much. 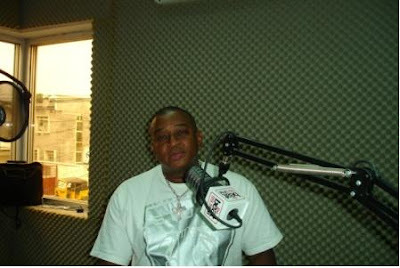 OA: Darey is a friend we are like family,he joined us back in Cool Fm , I have known him since way back I’m friends with his mum I worked with his father back when I was with NTA back in 1988. LC: You worked with NTA? OA: Yeah I worked “with” not for; I was on contract as an independent producer, going back to Darey. Darey is a very talented guy, he felt he didn’t need Storm and he could do things on his own and We wish him the best of luck . I am glad to see he is doing good things. A lot of artist announce that they are living Storm and a lot come back through the back door when they see that the grass aint so green on the other side. They underestimate the leverage we have and the power of our push. LC: Now we know its all still in the brew, but could you give us any inside scoop on what to expect from storm anytime soon? LC: Oh yeah heard you guys signed Gt up? OA: Yeah the long awaited album will be out, we have spent four years cooking it..its a killer album. LC: You also anchor the television talent scout show NAIJASINGS, which is like another POP IDOL. How did you get involved with that? OA: Naija sings is not trying to be like Idols , I mean when we get to the final fourteen we’ll be doing different nights with Nigerian music and international music we wanna merge what is happening in the contemporary scene with our own indigenous material. We wanna bring the old music and mingle it with the new. As well as expose our musical culture I mean our heritage is so rich we have kinda forgotten it and we need to bring it back. LC: How did you get involved with hosting the show and how do you see television production in Nigeria at present and in the near future. OA: I mean I have done some projects with Mnet before, I had co-hosted the show with a lovelly girl called michelle, But this time Storm was involved in the creative process. Storm and a company called Nevermachine were part of the creative process. And we are part of the production process (that is Storm 360). I didn’t really want to host it to be perfectly honest, but the problem was the programme needed a host with a musical knowledge that is beyond average in order to educate people properly. So it was after holding auditions and not finding someone to articulate this that I had to step in and do it. I am not saying I am the best presenter in Nigeria but that it’s a very specialised show. LC: There has being a massive debate on the depth of lyrical contents of the records from the modern Nigerian artists brought on by journalist Ruben A’s article “A nations identity crisis”,not sure if you heard about it ,could you comment on this debate. OA: Ruben is a very intelligent man but I think he bit a little more than he could chew, I think the problem was the article was generalised way too much. Cause I mean there are a lot of young people doing great things. In any generation of music there will always be throw away songs. Not every song is gonna deep and meaningful and have a message it could just be a happy sing along song from Chris Okotie back in the day. Not every song Onyeka sang was deep and meaningful not every song Fela sang was deep as well Fela could sing a lot of throw away songs back in the day that just made you feel good. So you can’t just be too hard on the younger guys. Even in the States you get throw away songs that don’t mean anything. So I think it was just a bit too harsh. LC: Where do you see the Nigerian music industry presently or in the future? LC: Oh you mean like Nollywood? OA: Na better than Nollywood ,we’ll be using celluloid cameras. LC: Finally to wrap up, could you offer any advice to any up and coming media personalities and artists? OA:Lets try put it simply. Don’t follow the Money,follow the dream.